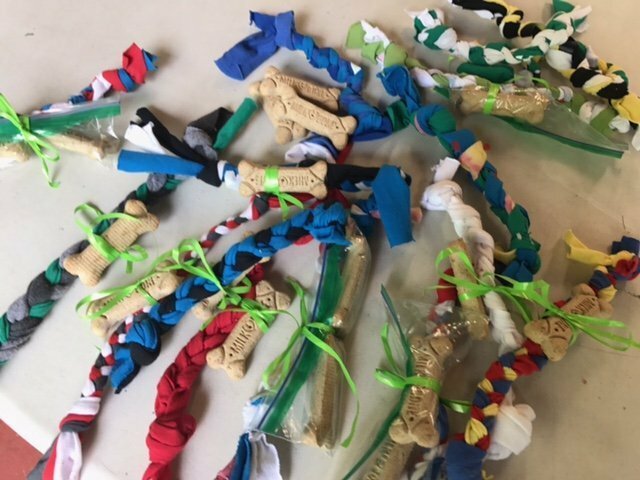 Create dog toys for our four legged friends in search of a forever home. Strips of material (recycled from old t-shirts) are braided and tied. A bag of treats is attached for an extra something special. These toys are delivered to various local SPCA’s and dog rescue organizations.